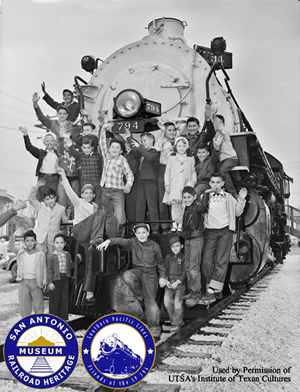 The mission of the Friends of the SP 794, a division of SARHM, is to serve the citizens of San Antonio as the caretakers of the locomotive and to ensure that it is preserved for future generations to enjoy whether the locomotive is operational or on static display. Our duties are to keep the locomotive looking presentable and do everything possible to see her operate under her own power again. We are also responsible for promoting her historical relevance to the City of San Antonio and Texas, as well as decorating her for the winter holidays.